Coniston Hotels is a 4 star hotel set in a 1400 acre estate, winner of Yorkshire's Best Large Hotel Award. It offers luxurious accommodation in a perfect rural escape. Wonderful wedding venue. Great place for corporate events. A unique range of country activities and falconry on offer. Situated in the centre of the beautiful Yorkshire Dales village of Grassington, the Foresters Arms offers a traditional welcome to visitors with tastefully furnished ensuite rooms, with TV and tea and coffee making facilities. We welcome walkers (and their dogs), cyclists (we offer safe storage) and motorcyclists. This secluded seventeenth-century family owned and run hotel is only a few yards from the cobbled village square of Grassington. An excellent base from which to explore the Dales, either on foot, by car or by bicycle. A traditional Dales inn, with accommodation, the Falcon is situated next to the village green in the conservation village of Arncliffe. Leeming Wells Hotel is a beautiful Bronte country hotel in Oxenhope close to Haworth. Close to excellent walking country, 5 delightfully furnished ensuite rooms, with indoor swimming pool and spa offering a range of massages. The Farthings is a charming 4-star Victorian family Guest House, with individually decorated rooms and award winning bed and breakfast. It is ideally situated in a quiet cul-de-sac, with a short walk to the famous walls and York City centre with Minster, Shambles shopping street and the train station. Stone House Hotel is a classic Edwardian Country House overlooking Wensleydale in the magnificent Yorkshire Dales. With 24 newly refurbished, award winning bedrooms, delicious food and a dream location - this really is the perfect choice for a relaxing short break. 17th century Punch Bowl Inn is located in spectacular Yorkshire Dales scenery in Low Row near Reeth, Swaledale. Mixing Dales character with contemporary luxury, it provide high quality Bed, Breakfast and Dinner in its well regarded restaurant. Some pet friendly rooms are available. Nestling in spectacular Yorkshire Dales scenery, this 18th Century Inn offers the best in food and drink and is an ideal base to explore the surrounding countryside of the Northern Yorkshire Dales. Conference and wedding venue facilities are available in light airy room with open trusses and impressive views. In the charming village of Thwaite in Swaledale and near the Pennine Way, Kearton Guest House is well located for walking holidays and for touring the Yorkshire Dales. 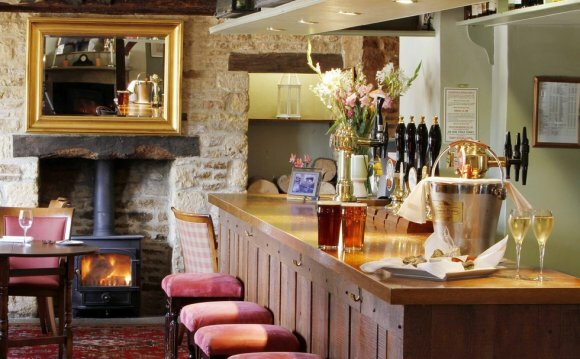 Close to scenic West Burton village, this 17th century inn is convenient for both Wensleydale and Wharfedale. The Inn offers a wide variety of meals in its excellent restaurant. Historic Yorkshire Dales pub accommodation with superb food, between the Yorkshire Three Peaks of Ingleborough, Whernside and Pen-y-Ghent. Also member of the Caravan Club, offering hard standing for 5 caravans. Winston Churchill used to stay at Old Hill Inn for fishing holidays. Peaceful 4 Star country Guest House acommodation in Yorkshire Three Peaks area offering Dinner, Bed and Breakfast. Relaxing base for touring Yorkshire Dales and Lakedistrict or outdoor pursuits; walking, fishing, cycling and potholing. Free wifi, secure garage for bikes and drying facilities available. Riverside Lodge is a delightful period guest house on the main street of Ingleton. There is an inviting lounge with fire and a conservatory. The property enjoys terraced gardens and lovely views of the River Greta with local fishing rights. As well as a guest house, Seed Hill is a Tea Room and Plant Nursery Garden. Situated in the centre of Ingleton village, Seed Hill is well placed for exploring Three Peaks Country. Aitches Guest House is a large tastefully refurbished Victorian House situated on the cobbled main street of the beautiful hillside village of Haworth. Close to the Bronte Parsonage, once home to the famous Bronte sisters. Right on the harbour-side, the Holiday Inn Hull Marina Hotel enjoys a fabulous location. The hotel is convenient for Hull Ferries and provides an excellent base for visiting local attractions such as The Deep, Beverley Race Course, Hull's Museums and the KC Stadium. Crowne Plaza Leeds offers hotel accommodation for Leeds City Breaks. It is a couple of miles from Headingley Cricket Ground and close to Leeds city centre clubs, restaurants & museums. The hotel offers a conference centre, banqueting facilities and choice of Wedding packages.